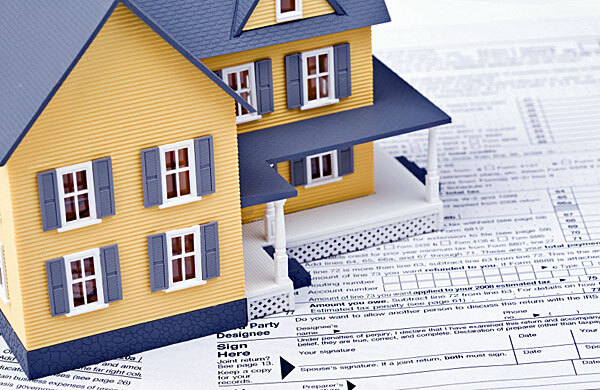 April 15th is just over a month away, and many of us that have yet to file taxes are spending the next few weeks thinking about the various deductions we qualify for before we file. For tax year 2013, the standard deduction is $6,100 for single Americans and $12,200 for those married and filing jointly. That means unless you can claim more than those amounts, there's usually no reason to itemize. But it's not as simply as simply mailing a mortgage bill to the IRS and reaping the rewards. There are a bunch of very specific deductions that require specific paperwork. Be careful of claiming a mortgage interest deduction on home equity loans that haven't been used to improve the property. If you refinanced your loan and decided, 'Hey, why don't we take another $50,000 out in equity,' but then you don't use that money to, say, build a pool, that's not fully deductible. You must use the money to improve the house, or you aren’t allowed a deduction. Don't mistake private mortgage insurance, or PMI, for homeowner's insurance that protects against a fire or other loss. PMI comes into play with lower-income homeowners who often can't afford a big down payment, and instead pay a small monthly fee as insurance against default. You can still get credit for, Insulation, energy efficient windows and doors, high efficiency air conditioner and heaters. Still, the cap is small at just $500, and it's not applicable if you claimed it previously since the credit was passed in 2011. Especially given the very harsh winter weather we've seen recently, it's important to note that when disaster strikes you are able to claim a tax break for any significant losses. You have to have a loss more than 10% of your income. If you make $50,000, you have to pay $5,000 out-of-pocket before you are eligible for any deduction. And for the record, that's an out-of-pocket loss. You won't get a deduction for losses that were covered by your insurer and that you were compensated for.